We handle the full line. Below are just a few of the machines. 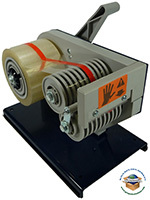 Label Dispenser - KL150 - Up to 6" Electronic eye model with speed control. 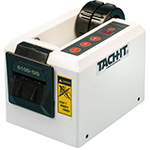 Tape Dispenser - Model 6100 - Electronic 2" wide pressure sensitive tape dispenser. SL3 - 3" wide lever operated pressure sensitive tape dispenser with lever. Model 3567 - Electric twist tie model for bags and bundles up to 1/2" diameter applications. Model 3570 - Electric twist tie model for bags and bundles ranging from 1/4" up to 1 3/8" diameter applications.